A fascinating collection of detailed, life-size drawings of a woodcock. 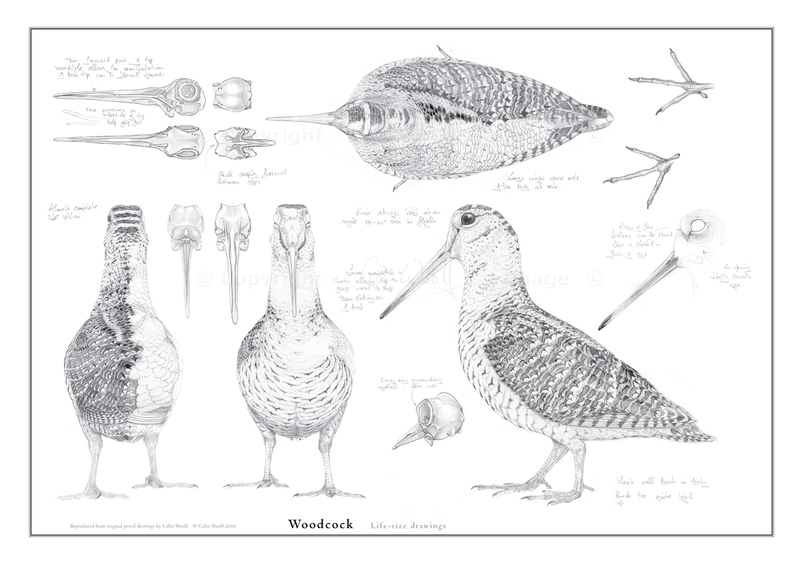 The accuracy makes it a useful resource for artists, carvers and taxidermists, but it is also an attractive and unusual fine art print. When purchasing, please be aware that the material is protected by copyright so you are prohibited from copying, re-distributing or sharing these drawings.